The Vegas Golden Knights have made it to the Stanley Cup Finals. It's been an improbable first season for the expansion hockey team. While Las Vegas residents are cheering on the home team, a win in the finals will cost Las Vegas sportsbooks big time. The Knights will face the Washington Capitals in the finals, which start Monday, May 28. The sports betting establishments, which are legal in Nevada, would have to pay out hundreds of thousands if not millions of dollars in bets, according to Jay Kornegay, vice president of the Las Vegas Hotel & Casino SuperBook. That's because the books, which take bets and determine odds, didn't initially think the Knights would do well. It seemed like a safe assumption -- most expansion teams don't do well in their inaugural seasons. And bettors seemed to agree. "No one really bet them so we raised the odds," Kornegay said. Sportsbooks set the odds that the Knights would win the Stanley Cup Finals at 500-to-1, meaning that if someone bet $1 and the Knights won, that bettor would win $500. "We took 13 tickets on 500-to-1. The biggest bet was $60," he said. As the season opened and the team started winning, more people started betting on the Knights, and the odds got lower. But by that point it was too late -- the damage was done. Kornegay said that it's not big bets that will cost the sportsbooks. Expert bettors mostly stayed away from the Knights because they weren't betting based on loyalty to the home team. What's going to hurt is the incredibly high volume of small bets placed by Knights fans. While Kornegay said "the lights might be a little dimmer and we might have to raise the price of our chicken fingers," there's no real risk of a sportsbook going bankrupt. 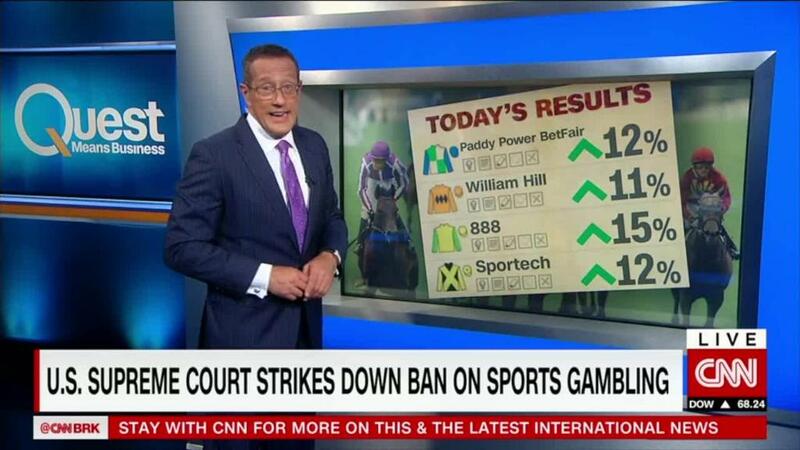 Related: When can I legally bet on sports? While sportsbooks will suffer with a Knights win in the finals, the people who run the books are experiencing a personal conflict of interest: Many of them are actually rooting for their new home team. "They're our team: The Vegas-born Knights," said Kornegay, who, like many of his colleagues, has season tickets. Kornegay said the team has been embraced because of how it inspired the community. The Knights' home opener took place after the October 1 massacre in Vegas in which 58 people were shot and killed and hundreds were injured. The team, which had planned an elaborate show to open its season at home, shifted the focus of the night to honor the fallen and the first responders. "They mean the world to this community right now. They brought this community together to help it heal," said Kornegay, who attended the first home game. "It became more of a somber game ... and from that moment they captured this community." Kornegay said the team's history was also a natural fit for the Las Vegas spirit. A large part of the team is made up of players, coaches and managers who came from other teams in the league. They dubbed themselves the "Golden Misfits," which resonated with Vegas residents. "They play with a chip on their shoulders," Kornegay said. "I always felt that the city of Las Vegas had a chip because it was never recognized as a community. It was just a strip, resorts and bars. We are a community." The Knights are a good reminder about home-team loyalty and the unpredictability of sports, especially now that the Supreme Court has cleared the way for states to legalize sports betting. "Vegas had all those people in Vegas backing their home team," said Dave Mason of BetOnline.ag. His sportsbook was exposed early on when the odds were really long, but they had bets coming in from other countries and sources so they eventually got out of the red. Mason said that with local sportsbooks, there's less coming in from overseas, which means it takes longer to bounce back from a miscalculation. "The local books are exposed on their teams," he said. "For example, if the Patriots are covering the point spread every week, a sportsbook in Massachusetts would be getting creamed." As states decide whether to legalize sports betting, it'll be important to remember how small bets from enough loyal fans can take a toll on a local casino or sportsbook.